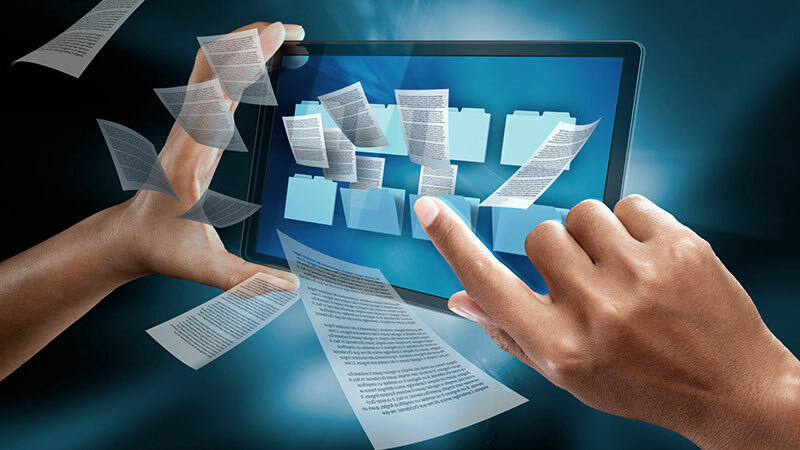 Of course, as the need for this approach to business has emerged, an array of services and systems for paperless document management have appeared, too. Naturally, not all are the same or offer the ideal solutions. For example, it is not just about accessibility to documents on cloud servers. Those same documents must be freely and rapidly synchronized across every device that is going to use or access them. The documents should be saved as multiple versions, and sharing should always be an option. This eliminates the need to send clients emails heavy with attachments and files. Consider too that you may want to have a way of also merging materials such as archived materials or old documents into your paperless system. Not all cloud-based storage options can provide this type of service. For instance, an optimal solution would include not only online storage but also handle every facet of the original document scanning, even going so far as to pick up and return or destroy documents when the process is completed. In this way, you can go entirely paperless, eliminate physical archives and yet still access everything. Instead of digging around files and folders or managing an ongoing chain of emails or communications, though, this paperless document management option would be far more efficient. The good news is that this solution is already at hand thanks to the comprehensive document scanning and online storage options of eRecordsUSA. eRecordsUSA is also specialized in providing Paperless Office Solutions, Paperless Office System, Paperless Process Consulting Service, Document Scanning Service, Document Imaging Service, Document Archiving Service and more. Would you like to receive a free quote and more. Would you like to receive a free quote for Paperless Document Management Service? Call +1.855.722.6669 or eMail us at info@eRecordsUSA.com.